Nellikka Pachadi is a vegetarian side dish which is very simple to make, yet very tasty and delicious. It is served as an accompaniment with rice. Gooseberry enhances food absorption, balances stomach acid, fortifies the liver, nourishes the brain and mental functioning, and supports the heart. It also strengthens the lungs, regulates elimination of free radicals, enhances fertility, helps the urinary system, improves skin quality, and promotes healthier hair. This fruit acts as a body coolant, flushes out toxins, increases vitality, aids in vision care, improves the muscle tone and, acts as an antioxidant. 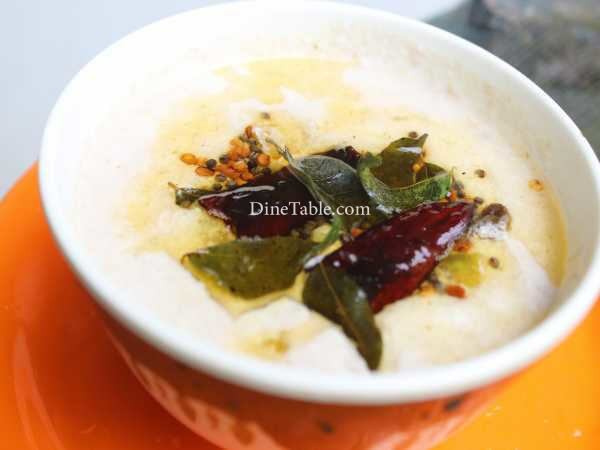 Try this healthy pachadi at home. Clean and cut nellikka into small pieces. Take a pan and add chopped nellikka, water, chopped green chilly, salt and cook for 5 minutes. Grind the coconut, ginger and cumin seeds into fine paste. Add this paste, curd to the cooked nellikka and allow it to boil. When it starts boiling, switch off the flame. Heat a pan and pour 2 tbsp of coconut oil and add 1/4 tsp of mustard seeds and fenugreek seeds. 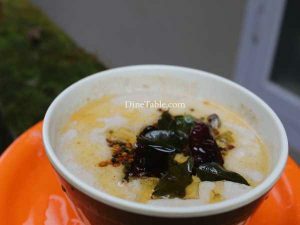 When mustard seeds start to splutter, add dry red chilly and curry leaves. Pour this over the nellikka pachadi. Tasty Nellikka Pachadi is ready.